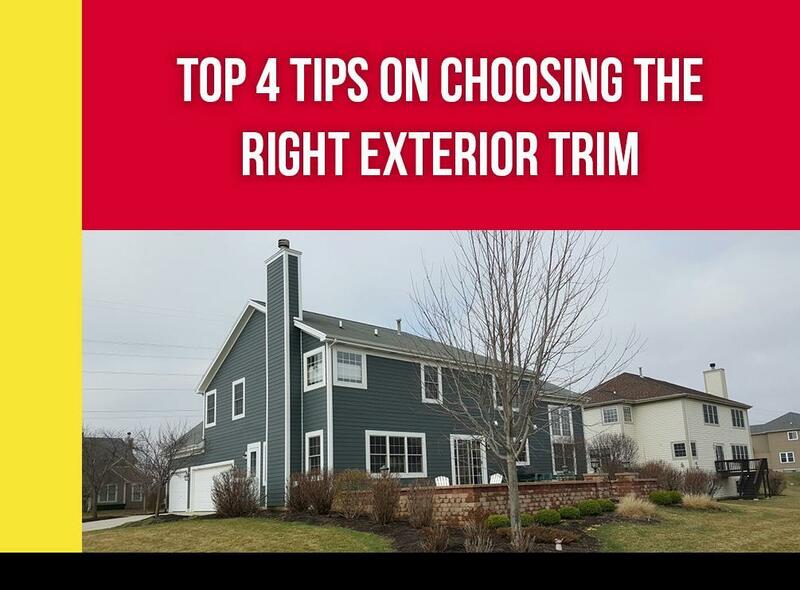 Tying your roofing and siding choices together is arguably one of the hardest parts of exterior design, and this is where choosing the right exterior trim can help immensely. It may not occupy a significant amount of space on your exterior, but it can significantly add cohesiveness to your existing one and boost your home’s curb appeal. Here are some tips to match the trim color with your home’s other exterior elements. Paint window and door trim in the same color as the siding – Most modern replacement window manufacturers such as Marvin Windows and Great Lakes Windows offer wide color selections for window frames that can match your existing siding color. Paint window sashes and shutters darker than the siding – If you’re having your windows replaced soon, choose window sash exterior colors darker than the main exterior color. This creates a multidimensional exterior look and a sense of depth that draws the eyes in. Painting the shutters in the same shade creates contrast and reduces monotony without reducing visual continuity. If you’re concerned whether or not this will work with your existing roofing, our consultants can help you find the right shade for your trim. Use multiple shades for multiple story homes – If your home happens to be two or three stories tall, choose the darkest exterior color on the first floor, going progressively lighter as you go up. Dark colors imply weight, so a home with a darker upper-story color looks top-heavy. A consistent trim color would then tie all shades together. Conceal gutters and downspouts – Paint the gutters and downspouts to blend in with the exterior by matching its color with either the siding or the trim. Most gutters can be painted over without voiding the warranty; the only exceptions to this are if you have seamless gutters with built-in finishes, or if you have copper gutters. Rogers Roofing serves Evergreen Park, IL, Hammond, IN, and nearby areas. To know more about our services, including replacement windows, call us today at (219) 228-8210 (Indiana) and (773) 492-2270 (Illinois). You can also fill out our contact form to schedule your free estimate.